Due to the rapid rate at which users are consuming digital media, social media advertising has become the favored choice for small businesses looking to find potential new clients, track conversion leads, and raise brand awareness. Specifically, for small companies who don’t have a lot of money to spend on advertising, Facebook ads are an excellent tool as it provides some of the best returns on investment in comparison to other social media platforms. Additionally, Facebook has an expansive reach with its user base, innovative and powerful advertising technology, and some of the most cost-effective marketing channels in existence. With this said, if you are a small business looking to get started with Facebook advertising, here is a handy overview of how to create successful ads to grow your brand. There are two tools to choose from, the first being the Basic Ad Manager and the second being the “power editor.” The Ad Manager is a stripped-down version of the power editor and is great for beginners who want to learn the basics of social media advertising. Conversely, the “power editor” should really only be used by those who already have a great deal of knowledge about the subject of digital media advertising. It is a much more robust and powerful tool that requires a great deal of management due to the multitude of features it offers. Once you’ve decided which tool to use, begin by navigating to your home page and selecting the drop-down arrow in the top right-hand corner (to the right of the question mark help icon). Choose the “create ads” option (it may also be labeled as “create campaign” for some users) and enter your campaign name and objective. The marketing objective will be one of three things, either “brand awareness” which gets people interested in your service or product, “conversions” which encourages people to make a purchase, or “consideration” which gets people thinking about or discussing your business. Each option will have an information section which provides more insight into each of these marketing objectives. You will also need to add in your specific account information by selecting the account country, the currency you operate with, and your time zone. This part is relatively simple and requires you to choose your audience size, location, and specifics such as age, gender, and language. You can even tailor your ad to cater to an audience with specific hobbies or interests. Generally speaking, you are going to want to target an audience of more than 50,000 people and choose a location that is central to your business. For instance, if you are a small business in the United States that operates only in Colorado, then you’re going to want to select “United States, Colorado.” If you were to choose only “United States,” you may not get as many conversions because you don’t operate outside of the state of Colorado. So, those people who come across your ad and are not in Colorado will not have any use for your products or services, and your marketing budget will be wasted. There are three main categories of audience selection, and they include core, custom, and look-a-like audiences. A core audience is someone who is targeted directly through the Facebook portal within your geographic area. This is great for smaller businesses that only service the surrounding areas within their region. Custom audiences, on the other hand, allow you to attract audiences from multiple areas and could include mobile users, your current customers, or your website visitors. Look-a-like audiences will use your existing customer base but allows for flexible changes in the demographic target areas. This is an excellent option for businesses who are looking for room to grow or track the trends of new customers coming in. Make sure to condense your audience by age, gender, and language before taking a look at the detailed targeting options. This is where you can choose to target specific demographics that have particular interests or behaviors. Finally, you can add in a connection type which ensures that the ad reaches out to people who have a specific kind of connection to your Facebook page. This is simply a way for you to track and measure different user engagement touch points. For instance, if a visitor clicks on your ad because they read your blog post or found you through your “About Us” page, these metrics will be tracked through the Facebook pixel. This is vital information as it allows you to tweak your ad to cater to those who are showing initial interest. This is where you will define how much you want to spend either on a daily budget or a lifetime budget. The daily budget must be flexible because some days you might exceed your chosen amount while other days you might be well under it. 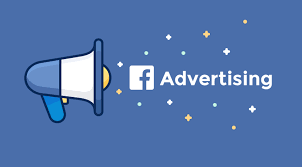 Make sure that you define how much you want to spend in total on your ad, and Facebook will automatically stop running it once that money has been exhausted across the period that the ad has been active. Make sure to choose whether you want the ad to run continuously or not and establish what the ad’s start and end dates are. This is where you can have a little bit of fun. There are several ad formats that you can choose from, allowing you to add in a video, a slideshow, a single image, or even a carousel type of design. If you want to use images, the recommended size is 1200 X 628 pixels, so make sure that when you are uploading, these are the dimensions you use. You can also choose from any of the free stock images that Facebook offers if you don’t have any photos of your own to upload. There are five essential parts to your ad, the first being the image which is what often draws the most people in and determines how they respond to your ad. The second is the headline, which is what you use to grab people’s attention. Without resorting to clickbait, you’ll want to keep your headline to about twenty-five characters. The third is the text or what you might consider the body of your add. This is the real meat and potatoes that tells your audience all about what you are promoting and why. Try to keep this section to about ninety characters. The fourth is your call to action button, as this is what tells the audience what to do. Lastly, the fifth part of your ad is the news feed link description, which explains to the user what they are clicking into (often your website URL). Finally, it is critical that you learn to understand and use the Facebook Ad Report section. This section really digs down into the weeds and outlines a substantial amount of information about your advertisements. Crucial metrics such as how much engagement you are getting, how well your ad is performing, and how many clicks you are receiving per day are all valuable when determining whether you are spot on with your audience targeting or need to make some adjustments. It can also provide you with a complete breakdown of the audience members clicking on your ad, to include the average user’s age and their general location. The ad report can also help you pinpoint what times and days of the week your target audience is most active, so you can schedule your ads accordingly to obtain the most engagement. This type of information is essential because it helps you fine-tune your ads to ensure they are reaching their maximum potential. Keep in mind that advertising on Facebook is not unlike advertising on any other platform. It is not a one and done thing, and it will likely require several modifications to achieve your end goal.